FUJAIRAH, 15th April, 2019 (WAM) -- H.H. 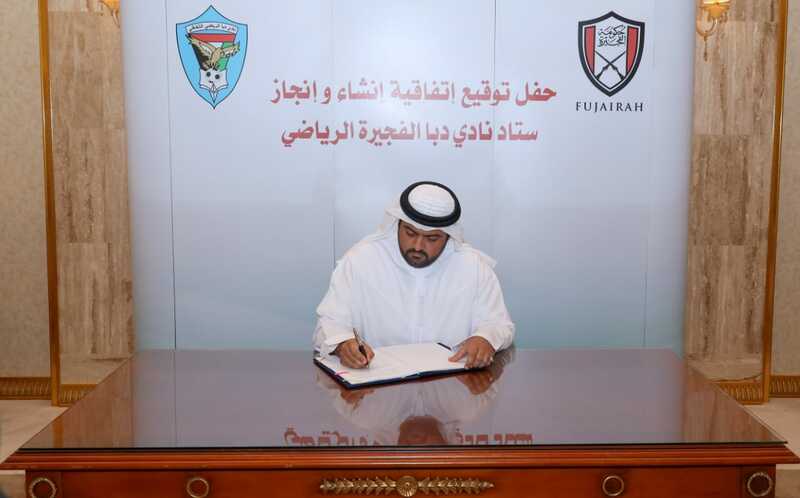 Sheikh Mohammed bin Hamad bin Mohammed Al Sharqi, Crown Prince of Fujairah, signed, in his office in the Emiri Court, a contract to construct the Dibba Sports Club Stadium with the Fuj Singh International Company, as per the directives of H.H. Sheikh Hamad bin Mohammed Al Sharqi, Supreme Council Member and Ruler of Fujairah, at an estimated cost of around AED100 million. The project includes the construction of vital sporting facilities, according to international standards and as per the engineering plans of consultant engineers. Sheikh Mohammed thanked Sheikh Hamad for supporting the emirate’s overall sustainable development while stressing that the construction of the stadium is one of the emirate’s key projects and represents progress in providing basic services. He added that the directives of Sheikh Hamad to build the stadium aim to support the emirate’s sporting movement, as well as encourage excellence and success.